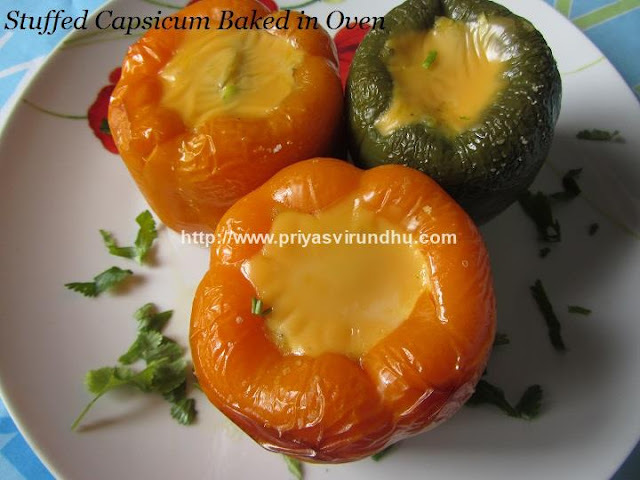 Today I am going to share a very easy and lovely, stuffed capsicum baked in oven. I have used potato filling in the capsicum, you can very well replace it with chicken masala, peas & cauliflower masala , rice and meat etc. 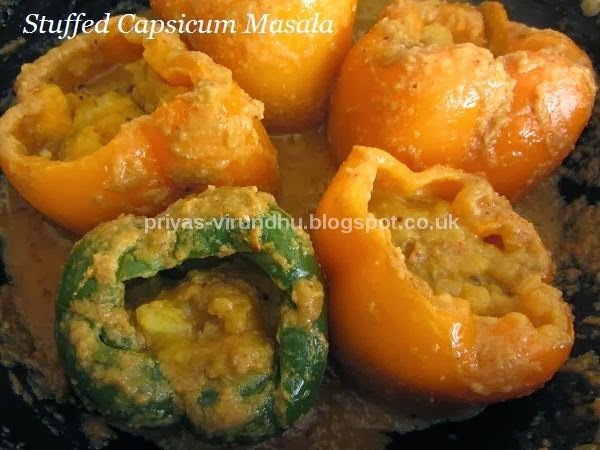 Do try out these lovely stuffed capsicums and have a great day. I am seriously fond of capsicums I thinks it’s because of its mild flavour, vibrant colour and so many more reasons. Botanically capsicums/bell peppers are fruits as they have seeds. But as they are widely used for cooking, so they are accepted as vegetables. Capsicums have different names around the world, they are called as chilli peppers in Britain. In USA and Canada they are called as Bell peppers. In Australia and Asia they are known as Capsicums. The capsicums come in different colours like green, red, yellow, orange and even purple, though I am yet to see a purple one. I was really astonished when I read about purple capsicums. The stronger the color of capsicums, the higher the level of anti-oxidants in them. They have high content of vitamin A, C, B complex , E along with other important minerals needed for our body. Let’s all eat healthy and lead a healthy life. 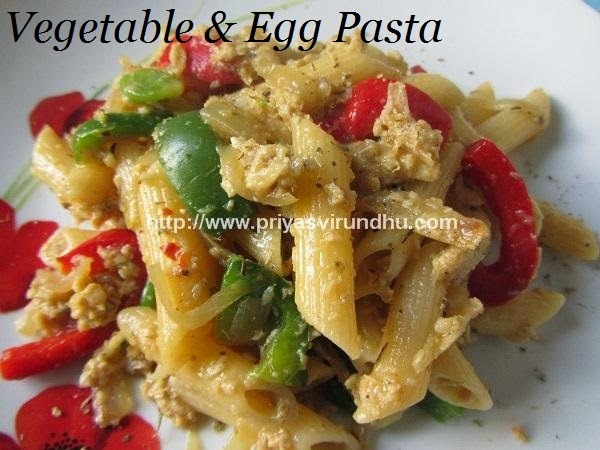 Please check out other Capsicum dishes here. 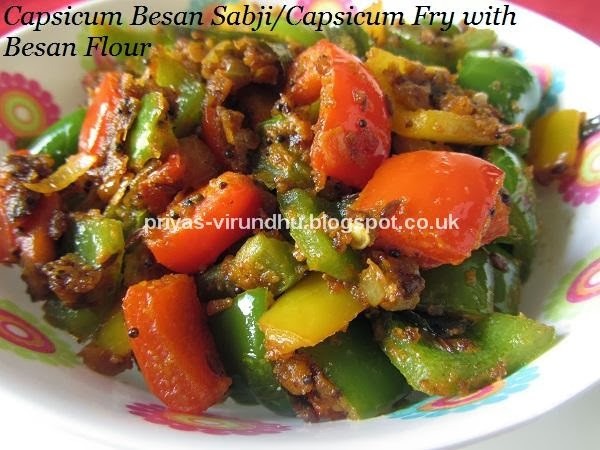 Here’s how to make Capsicum Besan Sabji with step by step photos…. There is one big problem I am coming across every day, it is definitely not cooking, it is not teaching lessons for kids, it is not the household work, it is not shopping but it is writing an introduction for the recipes. I write a few things, delete it, then rewrite and then somehow settle with a few lines and then move ahead. Coming to today’s recipe I made chilli paneer dry version, which is yet another delectable paneer dish found in all the restaurant menus. 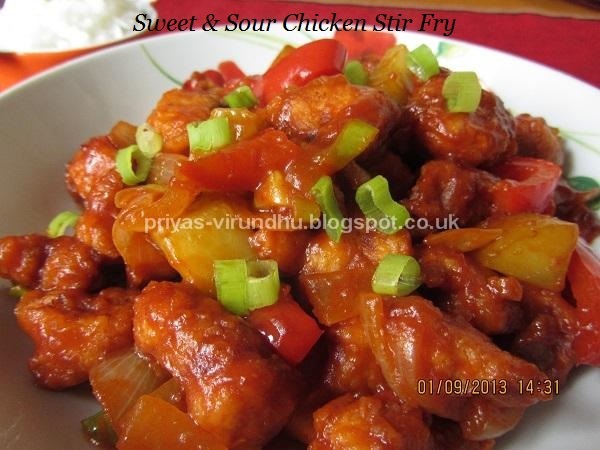 This is another simple and quick paneer dish made with onions, capsicums, blended with sauces and Indian spices. 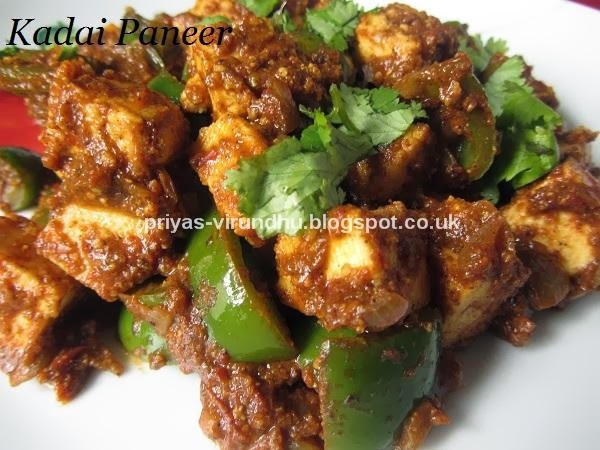 Check out other Paneer dishes like Paneer Bhurji, Palak Panner, Paneer ButterMasala and Kadai Paneer in the corresponding links. Since I was born and brought up in South India, paneer was not cooked at home when I was a small kid, we used to have paneer dishes at restaurants and at special occasions. But later on things started to change, we started to make paneer at home and incorporate in many recipes. Now it is so common and my kids also love paneer I make several paneer dishes referring to books and recipes from friends. 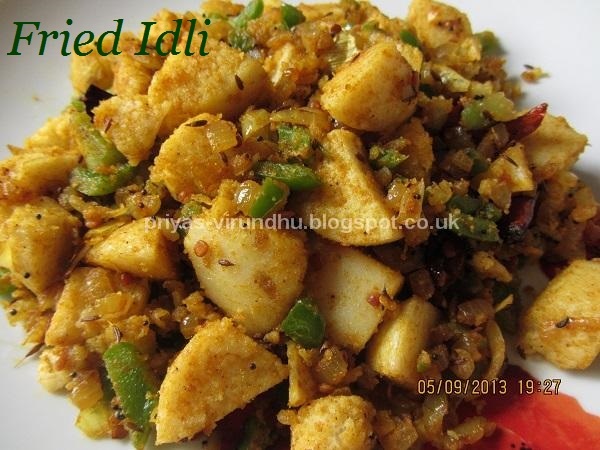 This kadai paneer is a very famous and common dish found in almost all the Indian restaurants and my husband’s favourite. 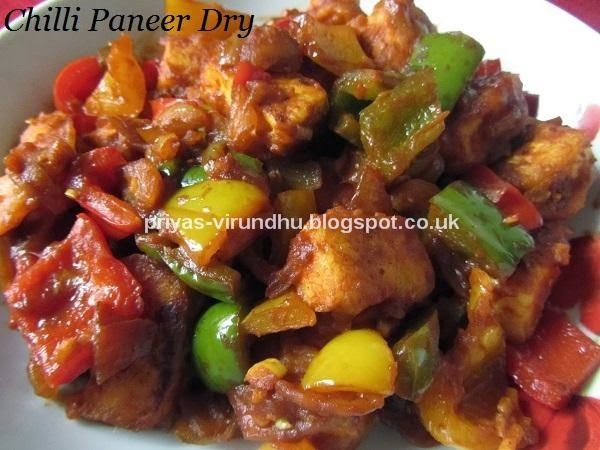 Check out other paneer recipes like Paneer Bhurji, Palak Panner, Paneer ButterMasala in the corresponding links. Chutneys play a very important part in our day to day food, especially in South Indian cooking. We make variety of chutneys starting from green leaves to all kinds of vegetables. 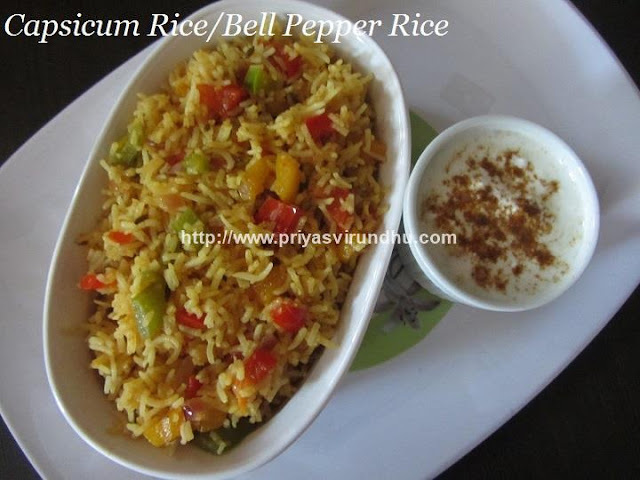 Today I am going to share “Green Bell Pepper/Green Capsicum Chuteny” with you all. 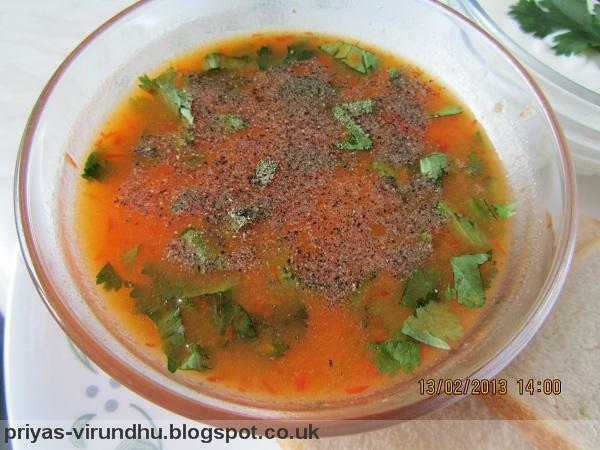 I have posted other variety of chutneys before, do check it out here. 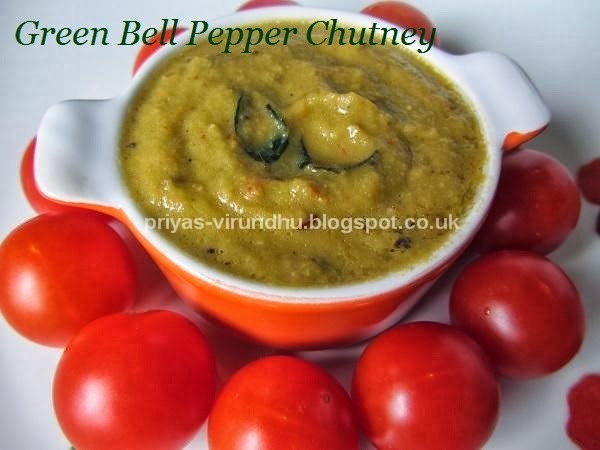 We make different types of chutneys as side dish for idlis and dosas, here is another simple and delectable chutney in that same list. 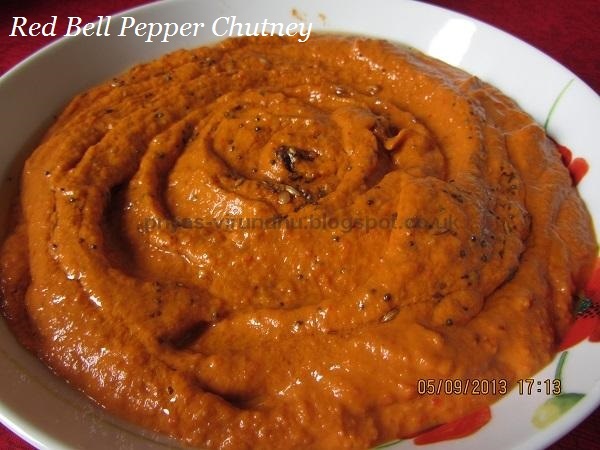 Red bell pepper chutney is very easy and quick to make, just try it out friends you will surely love it. Check out other delectable chutneys here. 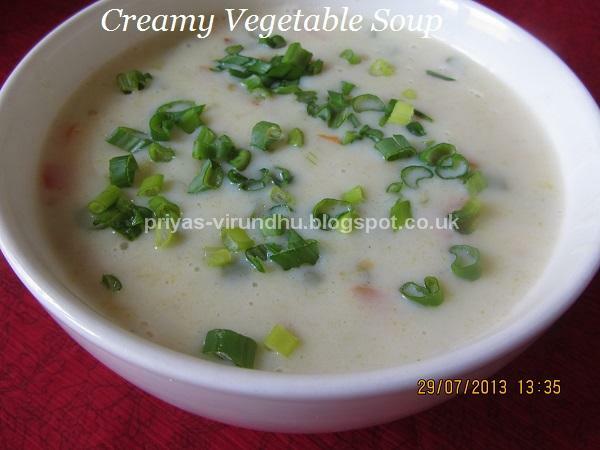 I am not going to give much of an introduction to this yummy, creamy, healthy and delicious soup. Now that my kids are home on holidays, they are having play dates and other kids coming home to play, I made the whole lot a healthy soup. So I thought of sharing it with you all. 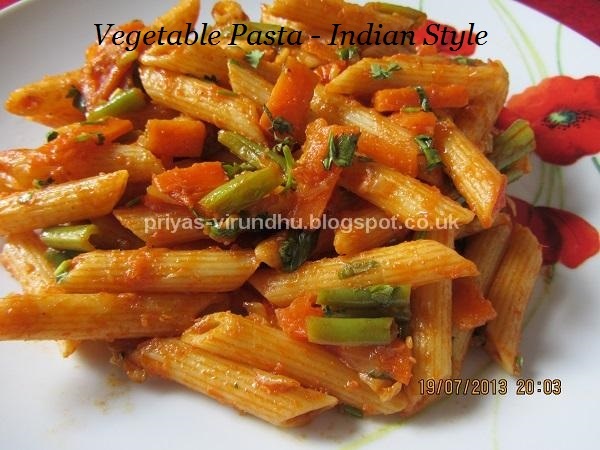 This is a very simple Penne pasta cooked with healthy vegetables and delicious Indian spices. The name says it all, so I don’t think it needs much of an introduction. 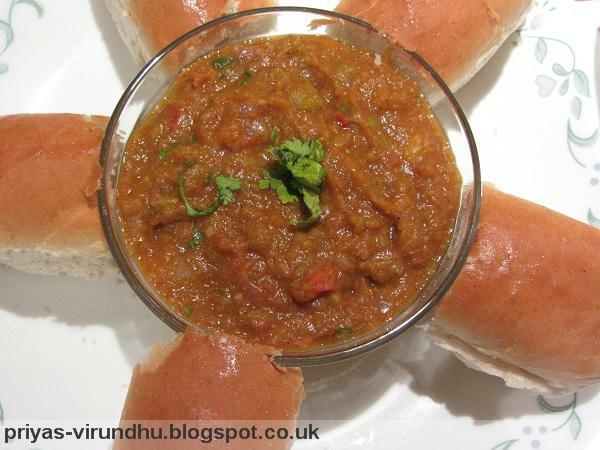 Pav Bhaji is a Maharashtrian fast food dish that originated in Mumbai. This dish was originally created by a vendor for the mill workers who had very little time to have their lunch. Pav in Marathi means a small loaf of bread and Bhaji means a vegetable dish. I am very lucky to have a Maharashtrian friend who made this bhaji for a get together. I fell in so much love with it, the first thing I did was to get the recipe from her and tried it and the bhaji came out fabulous. 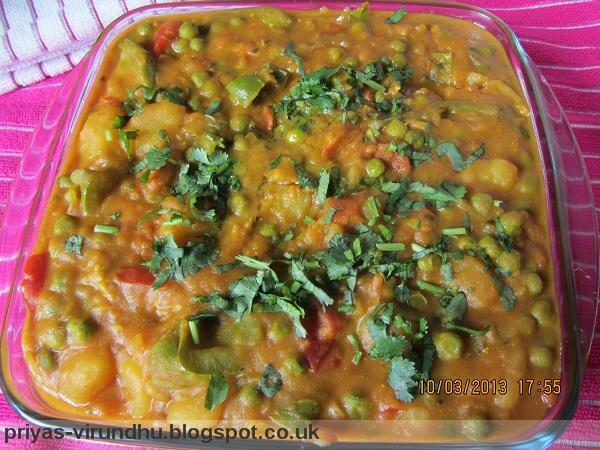 Potato, Peas & Capsicum curry is a one pot curry which is very easy to make and a very healthy dish. 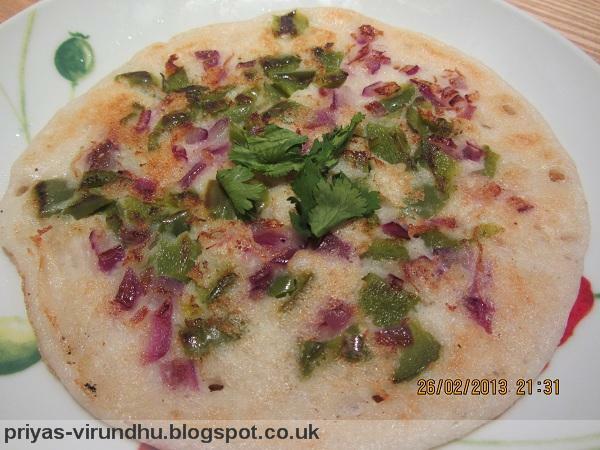 The journey of idli batter is longer compared to any other batter. Day one and two we make idlis, day three we make dosas and the left over batter on day four we can make uthappams. 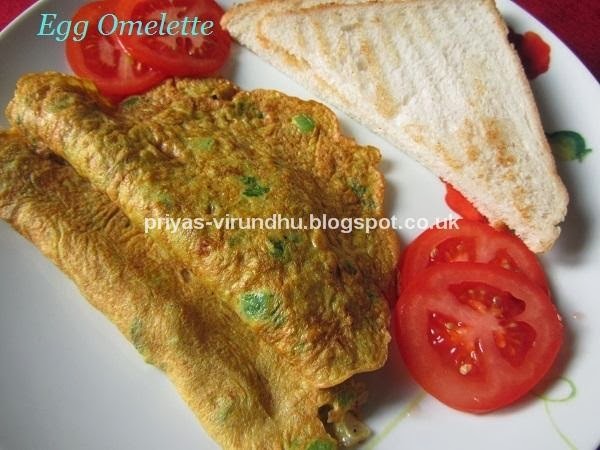 The sour taste of the batter along with the vegetables gives extraordinary flavor and taste to it. 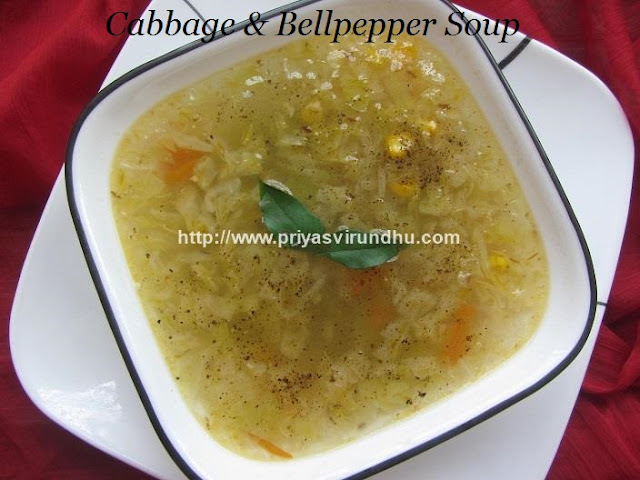 Hello everybody, here is a easy and a healthy red bell pepper soup. This soup is so fascinating and attractive because of its color and once you taste it you will never forget the taste.